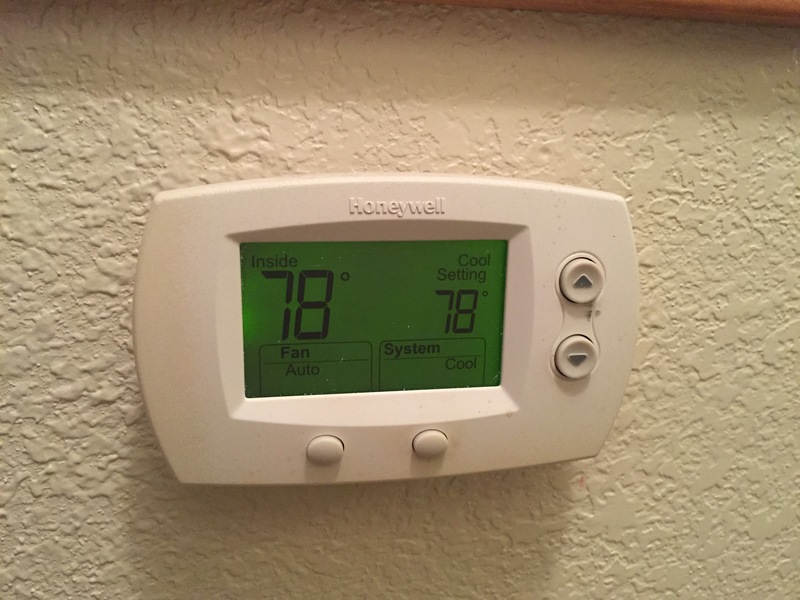 If you were to walk into a 78 degree house, would that be warm or cool to you? Well, it depends. If you’re in Duluth, Minnesota, in January, walking into a 78 degree house would be ridiculously warm, even hot. But if you’re in Houston, Texas, in a steamy heat wave in August, 78 degrees will feel luxuriously cool. So what changed? The inside temperature is the same in both cases. So how can a constant feel hot in one situation and cool in another? It’s because the exterior circumstances have changed. The context colors the constant. In the movie classic It’s a Wonderful Life, George Bailey finds himself in quite a mess. Through no fault of his own, he finds himself facing bankruptcy and possibly even jail. The old codger in town tells him he’s worth more dead than alive, and George himself starts to believe that, even contemplating ending his life so his wife can at least be free of his debt and get life insurance. His guardian angel, Clarence, appears and shows him what the world would be like had George never been born. It’s not pretty. As the storyline progresses, George comes to see how much difference he had made in the lives of others, and how wonderful his life really is. By the end, he begs to “live again,” now desiring that very life he had recently found unbearable. What changed? He still owed more money than he could possibly pay. He was still worth more dead than alive. He still faced the possibility of jail. But his context was now completely different. His context colored the way he viewed his constant. The same holds true for many people’s view of God. So often, our view of who God is is blurred by our current circumstances, which are always changing. Maybe you’re going through a period in your life where everything is great. You have a wonderful job, family life is good, you have plenty of money, and you’re thinking, God is blessing me richly. What a wonderful God He is indeed. But then again, maybe you’re going through a terrible time in your life right now. Maybe a loved one has died unexpectedly, maybe you just got news from the doctor that your illness is terminal, maybe you lost your job and can’t afford to pay the mortgage. In those cases, maybe you’re thinking, This is what I get after living a good life? After serving God all these years, this is the thanks I get? Maybe God isn’t so great after all. Why would He do this to me? The difference in the examples above is the circumstances in one’s life. For you see, God’s the constant. God doesn’t change. He says so Himself quite bluntly in Malachi 3:6- “I the Lord do not change.” Can’t get much clearer than that. He’s the same God today as He was 6,000 years ago. What did He do 6,000 years ago? Well, first He created a world that He proclaimed was “good.” That world is still in existence today, and despite what some people have done to abuse it, it is still God’s amazing creation and it is still good. He created Adam and Eve just as He created you. He is a God who means what He says and takes sin seriously. He warned Adam and Eve not to eat from the tree of the knowledge of good and evil, but when they did, He punished them. God still takes sin seriously, and yes, there are still consequences for our sins. But there’s also hope. Even 6,000 years ago, immediately after punishing Adam and Eve, He promised them a Savior. Genesis 3:15 is the first gospel, the “Protevangel” verse in the Bible. From the very beginning, God promised He would save us. And save us He did. Fast forward 4,000 years from Adam and Eve. The time is finally right. God keeps His promise by sending His only Son, Jesus, to live a perfect life on this earth. He lives the life we could never live. Then God heaps the sin of the entire world upon Jesus’ shoulders, and He dies on the cross as the sacrifice for everyone else. God punished Jesus instead of punishing you. And after Jesus died, He rose three days later to prove once and for all that He has defeated even death for us. When we die an earthly death, that’s not the end. We don’t have to die an eternal death, separated from God forever. No, for those who believe in Jesus will live in heaven forever with Him. That’s the constant. Hebrews 13:8 assures us, “Jesus Christ is the same yesterday and today and forever.” People’s life circumstances vary widely, but Jesus’ life, death, and resurrection are true all the time; His promises are true for everyone. I don’t know what your earthly circumstances are right now, but be assured of this: Jesus lived for you. He died for you. He rose for you. That’s the constant. And eternal life in heaven puts even the worst earthly circumstances in perspective. No matter what I face here on earth, eternal life awaits. And that will never change.